This image is seen in several copies in this catalogue. 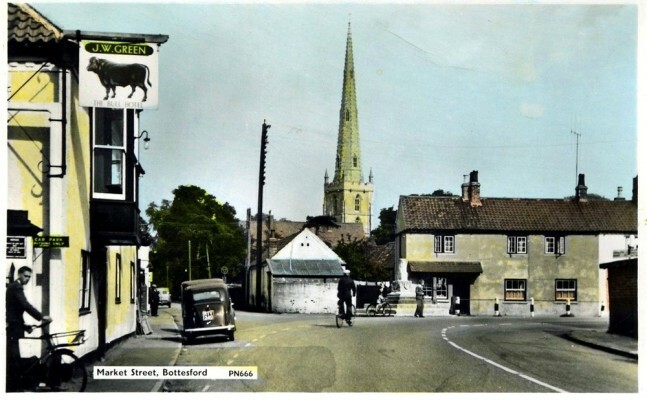 Taken around 1960 it shows Bottesford Market Place, the Bull on the left. The Cross and Taylor’s butchers shop are seen, with the church and roof of the old rectory are in the background.